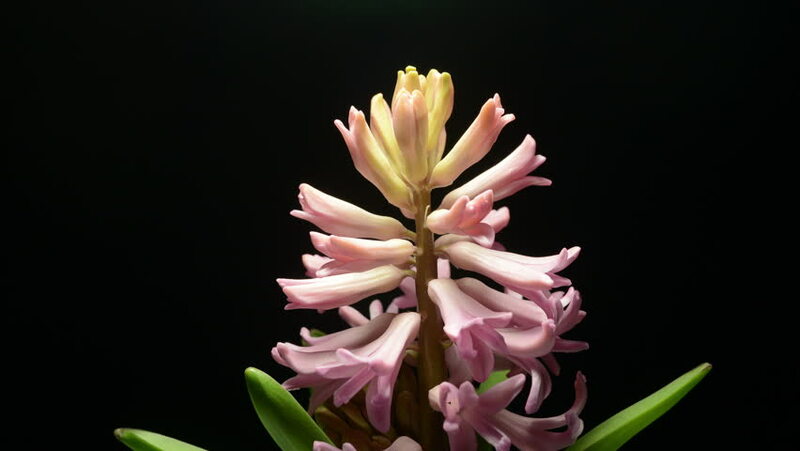 Hyacinth Blooming on Black Background Time Lapse.4k vedio. hd00:15Time-lapse of opening pink lily flower 2a1 in PNG+ format with alpha transparency channel isolated on black background. hd00:25Time-lapse of stargazer lily flowers blooming. hd00:29Wet flowers spinning against white background.